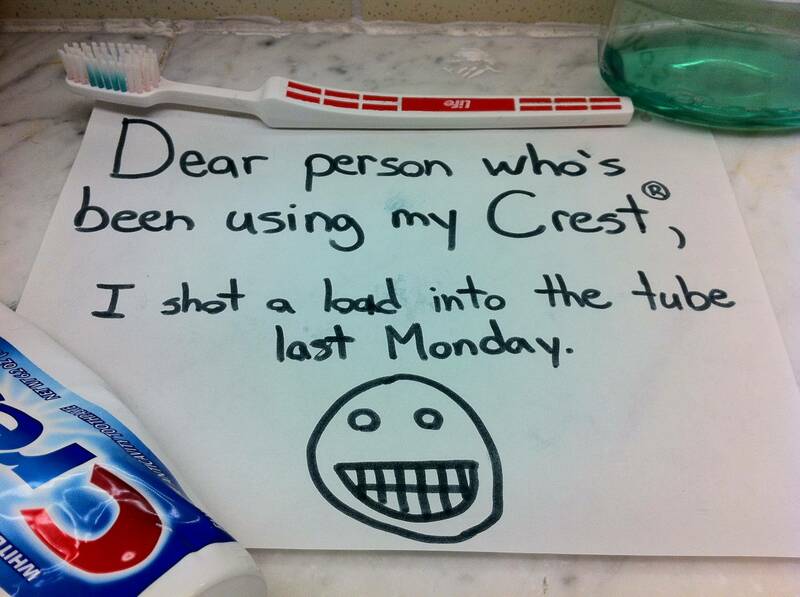 Payback is wonderful, isn't it? 1. The time when frustration came out minty fresh. 2. When this grandma spent her children's inheritance in the most epic way possible. 3. When this local coffee shop taught McDonald's how to spell. 4. When this anonymous texter got a much deserved Christmas gift. 5. When this person taught their sweet roommate the value of always replacing the TP. 6. When this poet ended a relationship in a Valentine's Day card. 7. When this boyfriend proved he's not lazy. AT. ALL. 8. When this girlfriend devised a super fun scavenger hunt for her beau. 9. 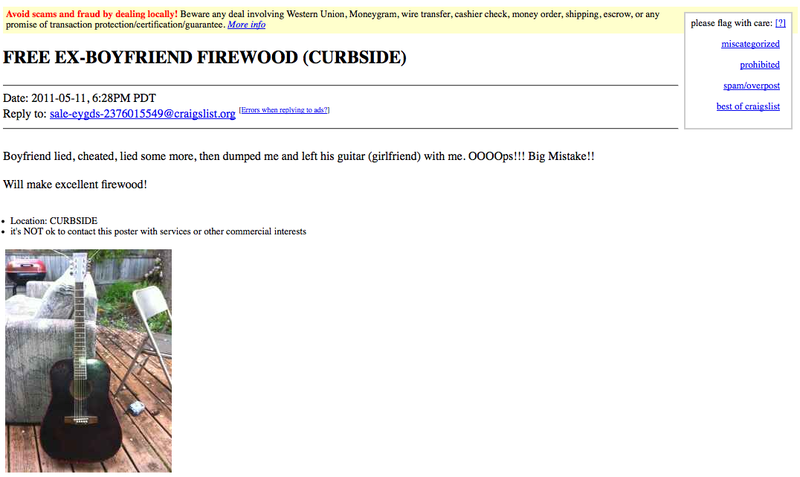 When Craigslist became the best place to sell firewood. 10. 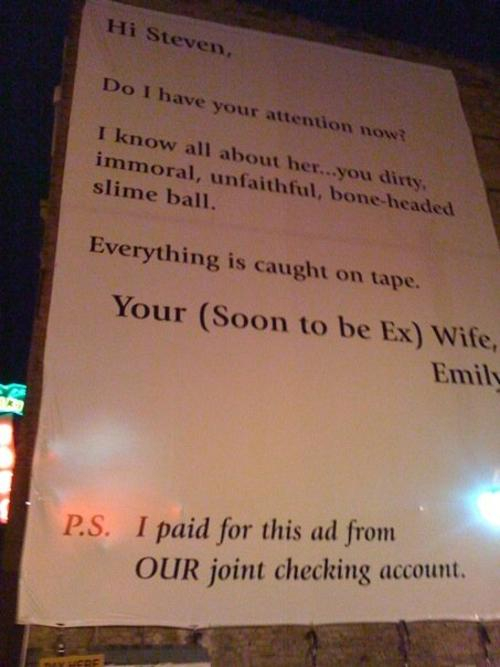 When Emily took out this massive billboard for her hubby to see. 11. 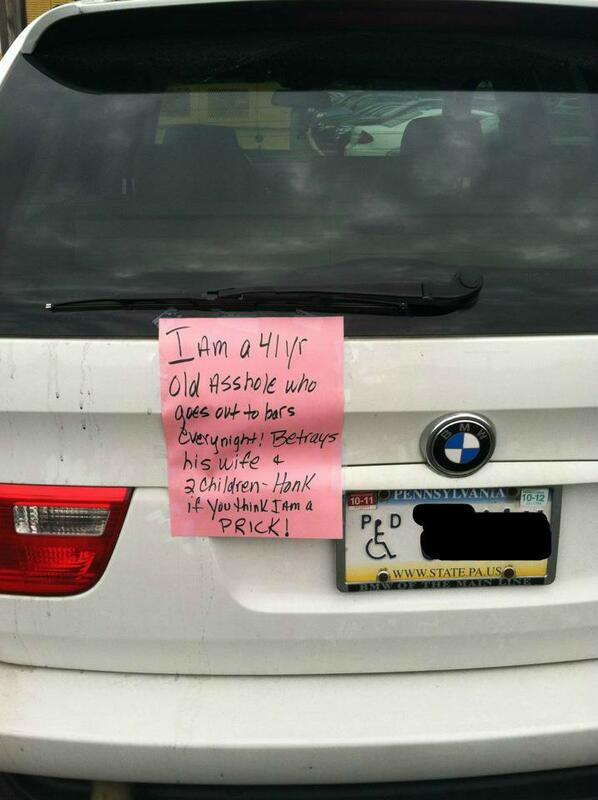 When this wife left a note on her hubby's car while he was at work. 12. When a home was finally built for some super sad toilet paper roll. 13. When these people shared a refrigerator, and some saliva. 14. When this boyfriend got stabbed. 15. When graffiti was the best way to say goodbye. 16. When this lady found a new use for habanero sauce. 17. When this mom took over her son's Facebook and made a post. 18. Everything about this sign. 19. When this very special message flew by. 20. 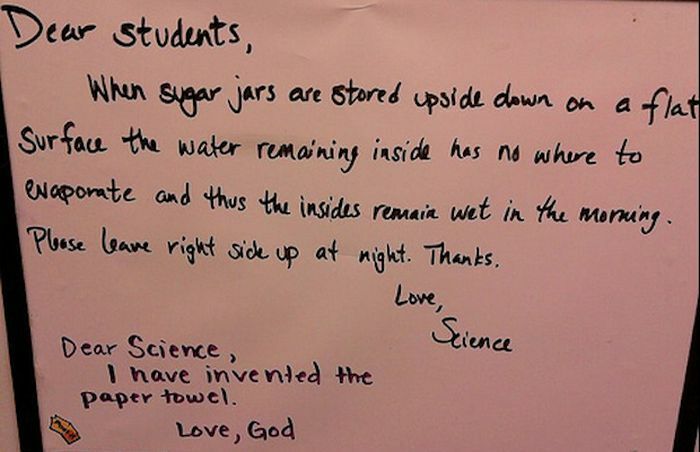 When science met God. 21. When this teacher taught her student the greatest lesson of all.